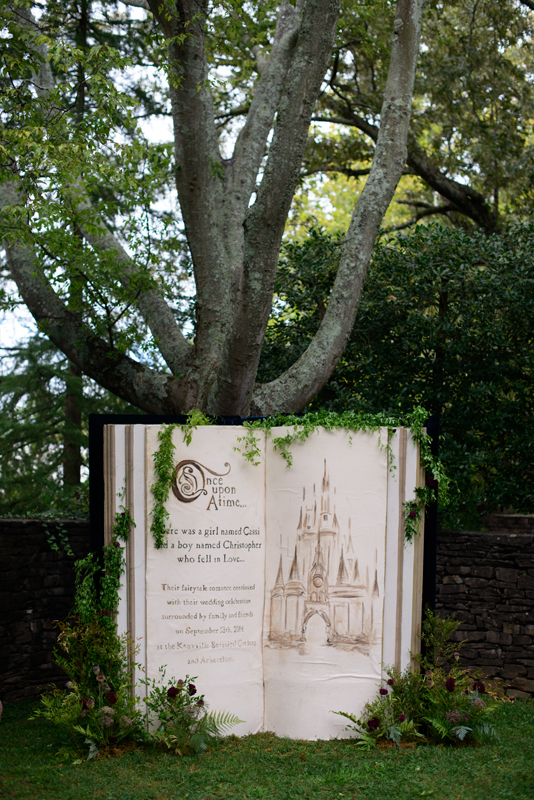 We have such a magical day to share with you today! 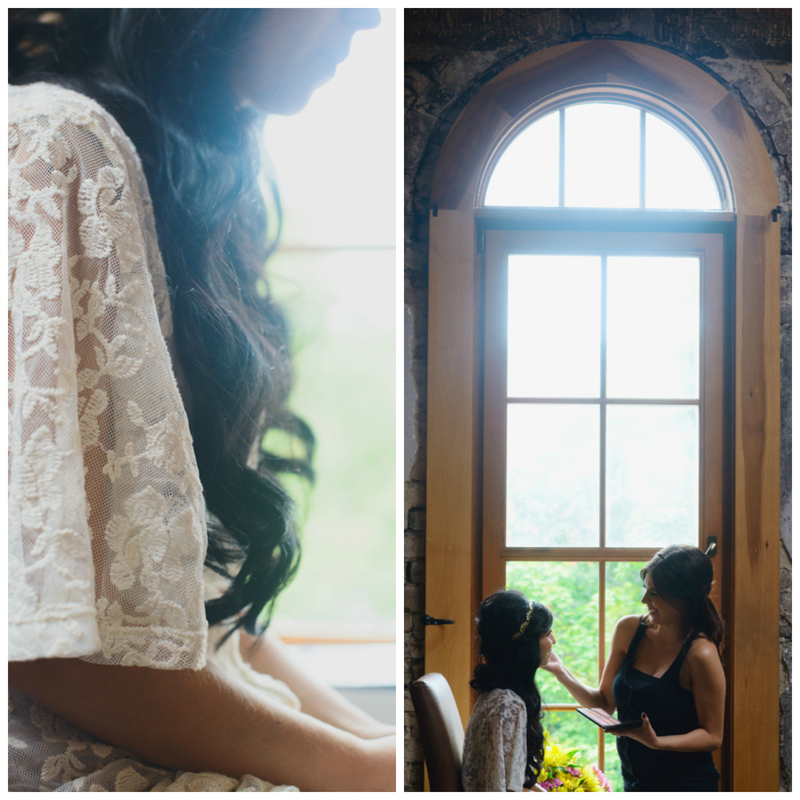 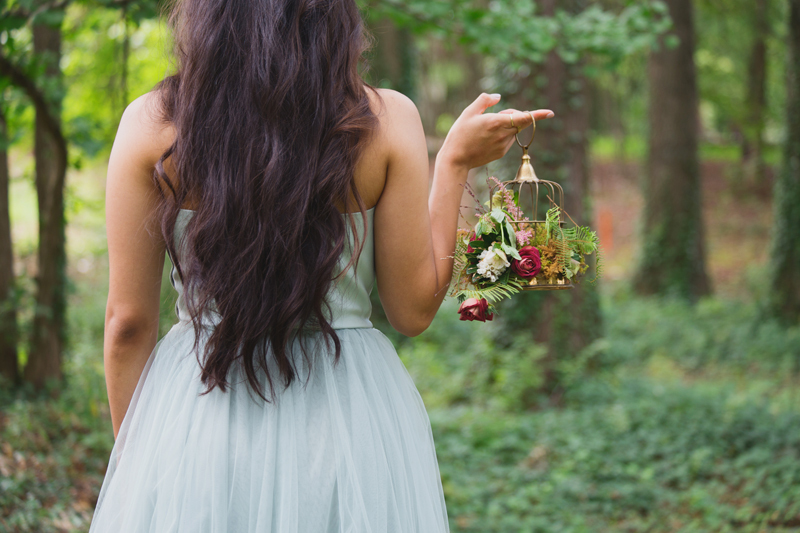 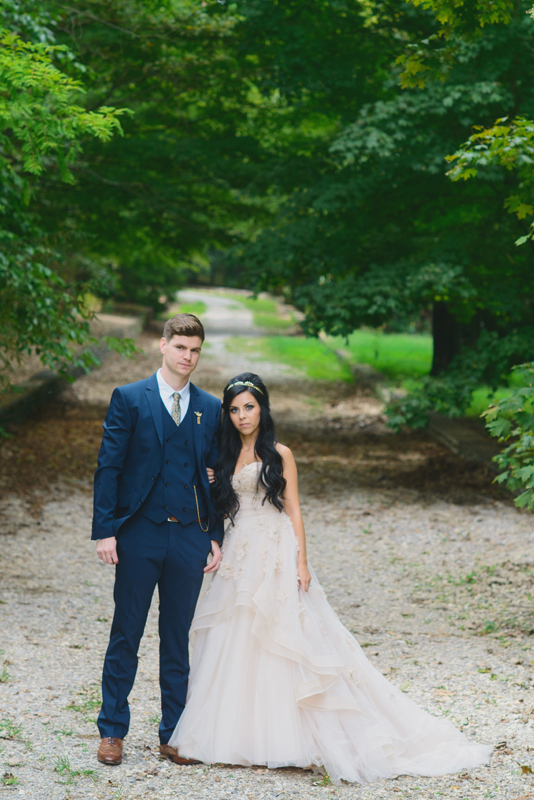 This fall wedding at the Knoxville Botanical Gardens and Arboretum took over a year of planning with this lovely bride. 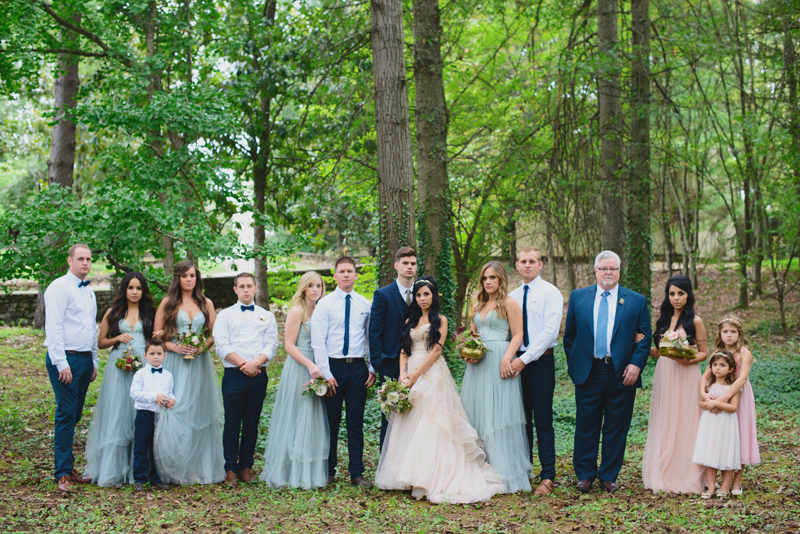 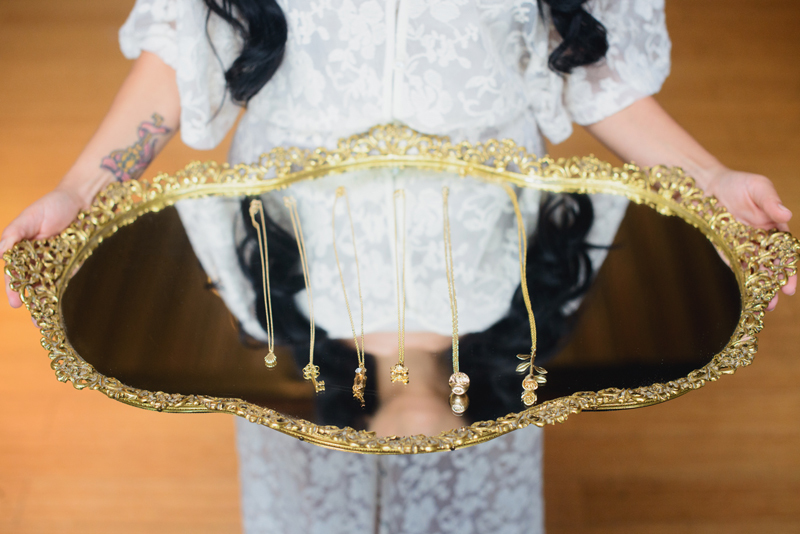 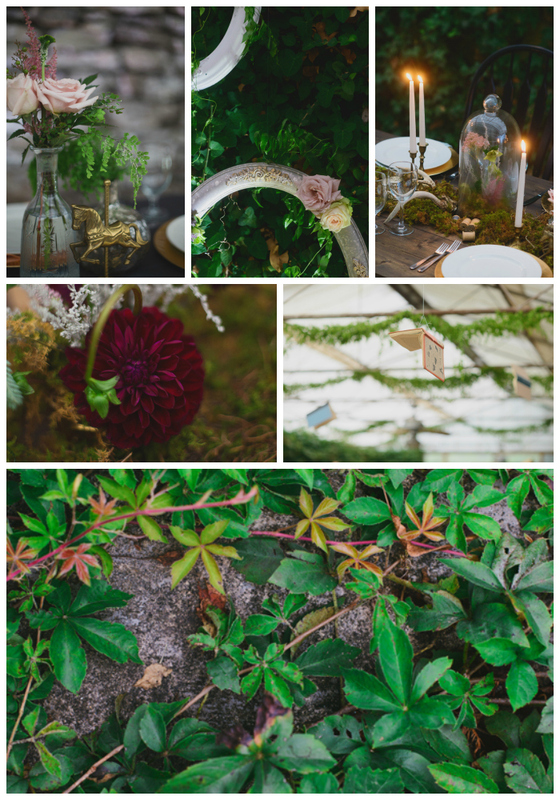 Cassi (who happens to run an event planning & styling company called Everly Deer) had a very specific dream for her wedding day and we were thrilled to help her make it a reality. 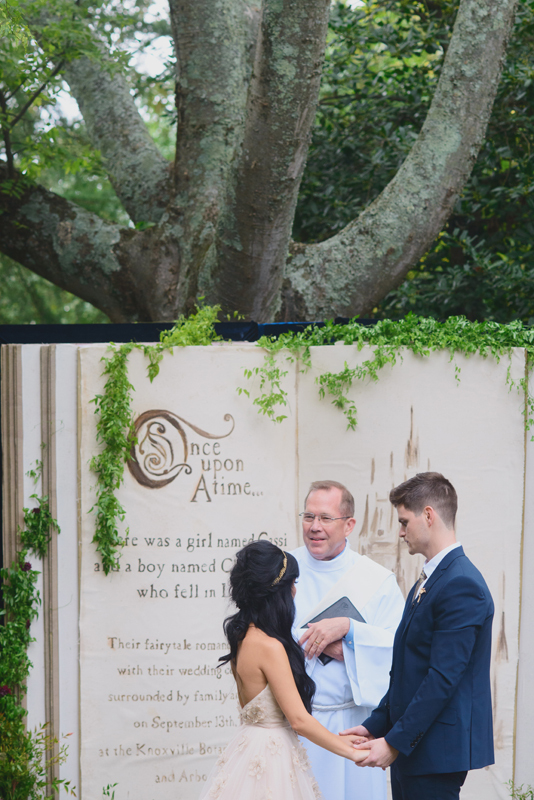 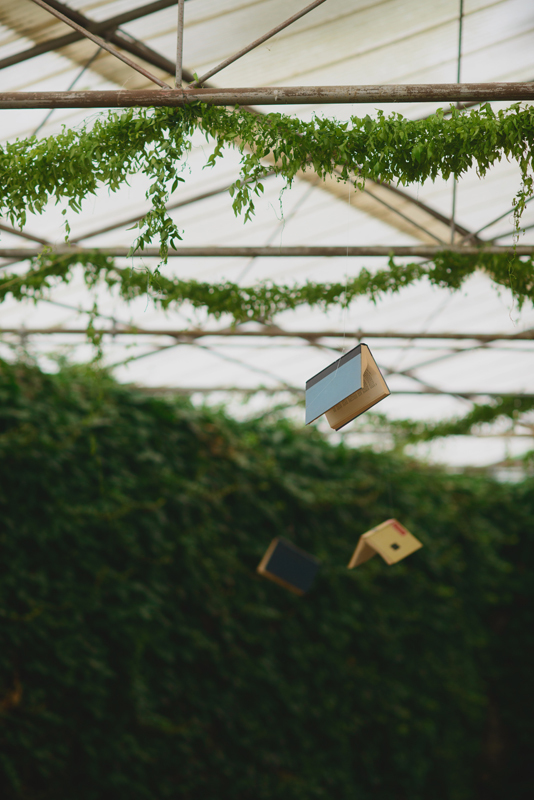 From the groomsmen pins to the lifesize book backdrop, no details were overlooked on this one! 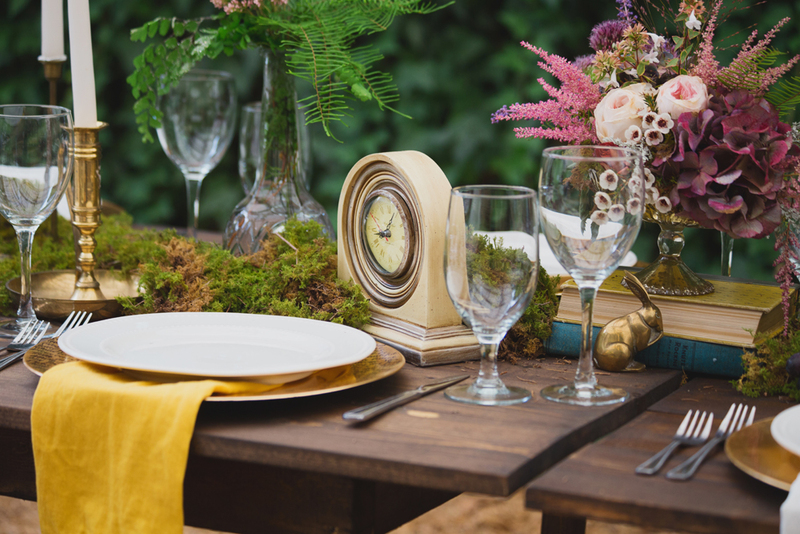 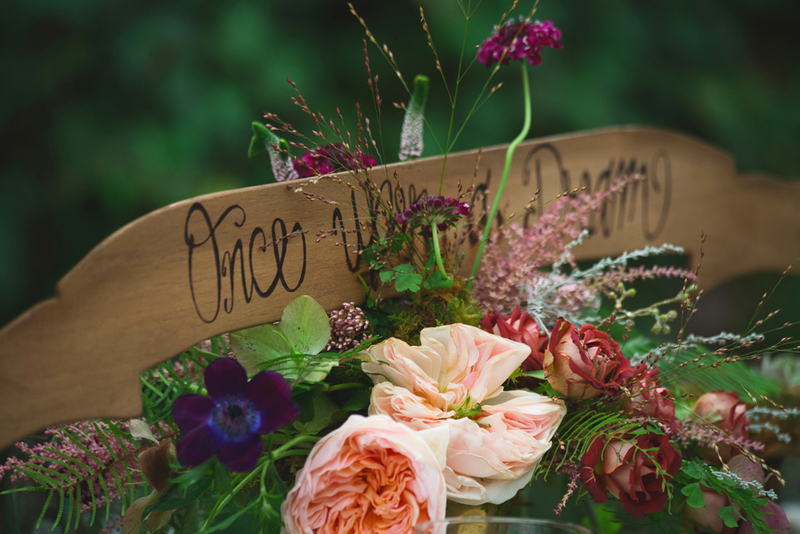 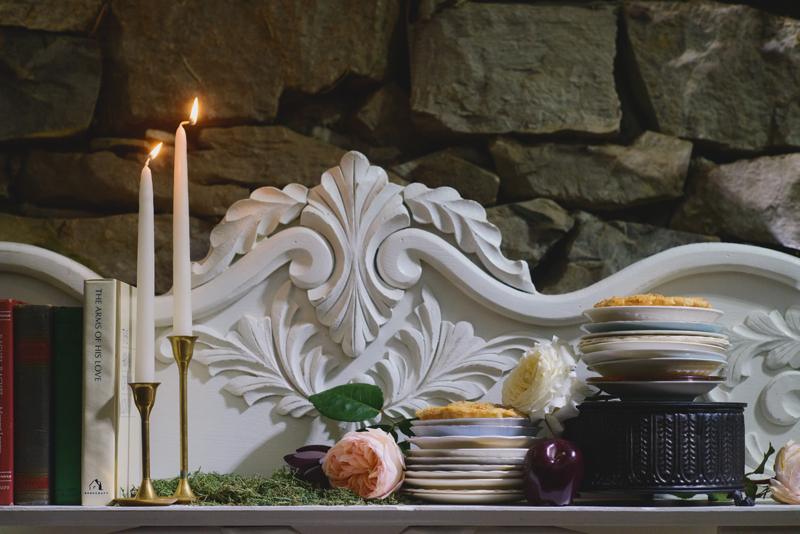 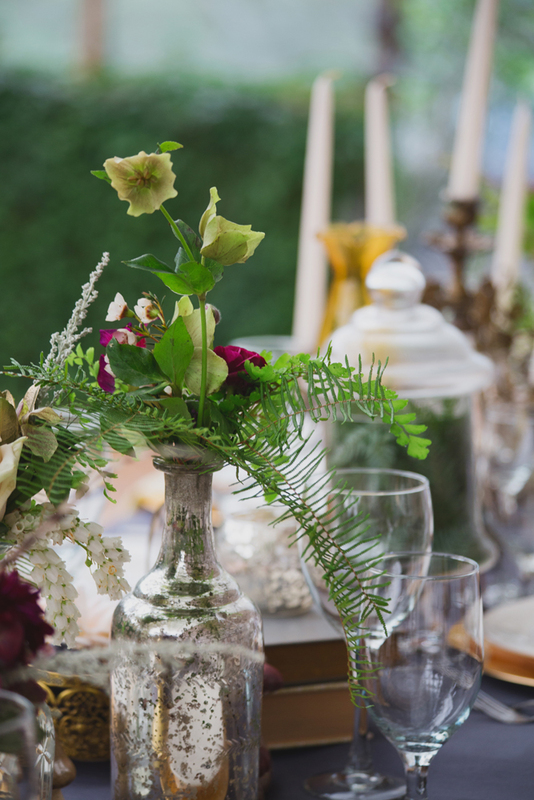 Our Whimsical Gatherings team created the personal flowers with vintage items that the bride & our Project Manager Carrie collected; a brass teapot, clock, birdcage, and candelabra. 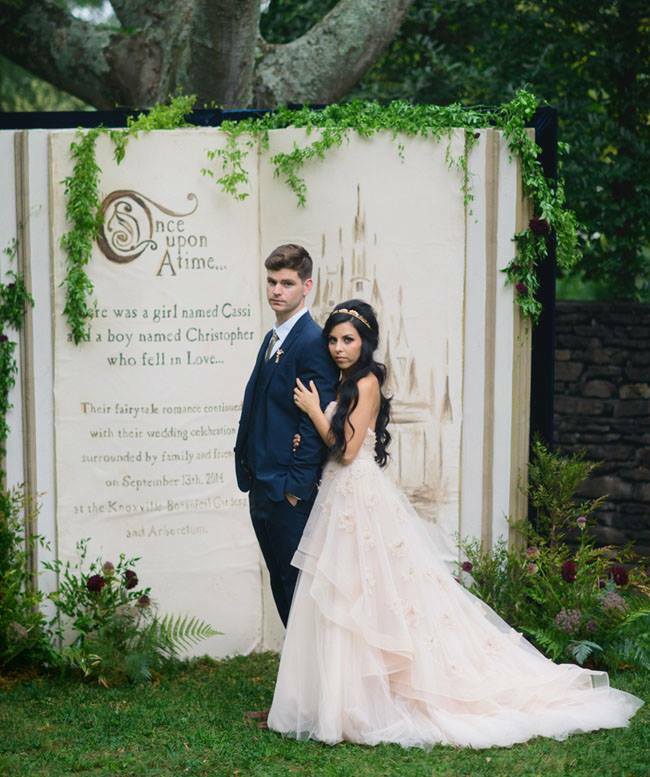 Carrie also designed the book backdrop, built it in her garage, and then commissioned our Graphic Designer Jude to put together the images, our Head Designer Colby to hand paint the pages, and our Creative Director Leah to help install the scene with greenery and florals that appeared to “grow” from the ground and around the finished product. 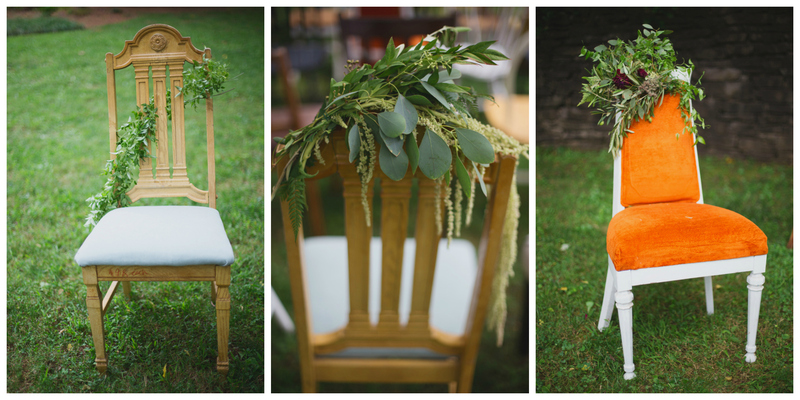 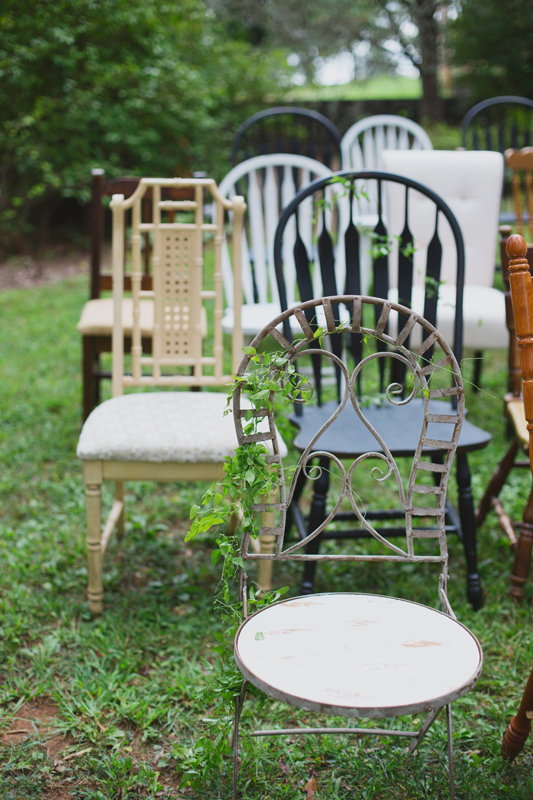 Petite greenery and blooms were then added to the mismatched ceremony seating from Restoration Rentals to complete the scene. 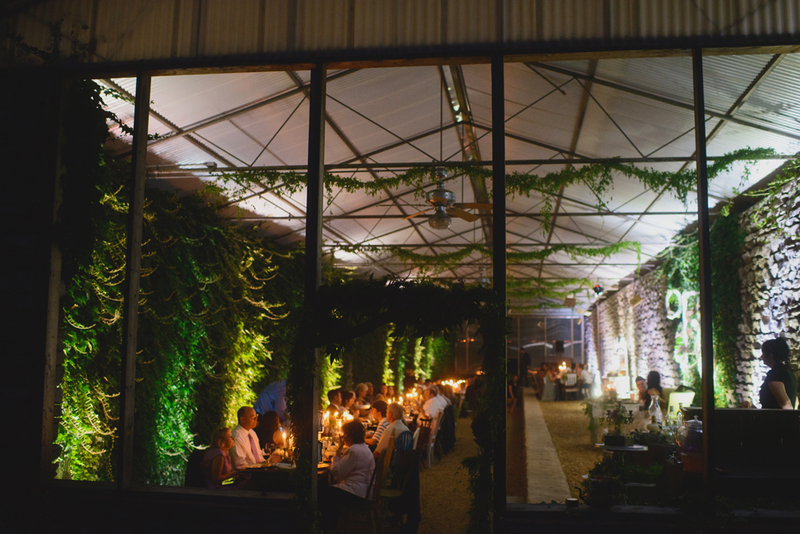 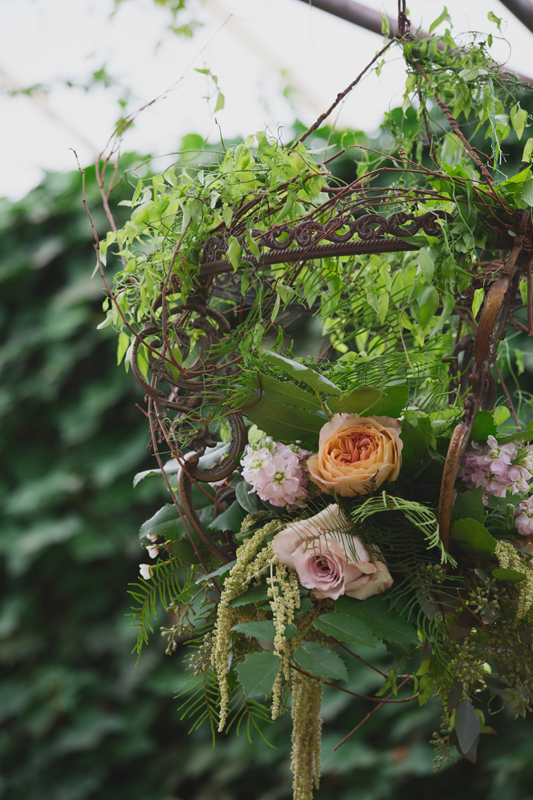 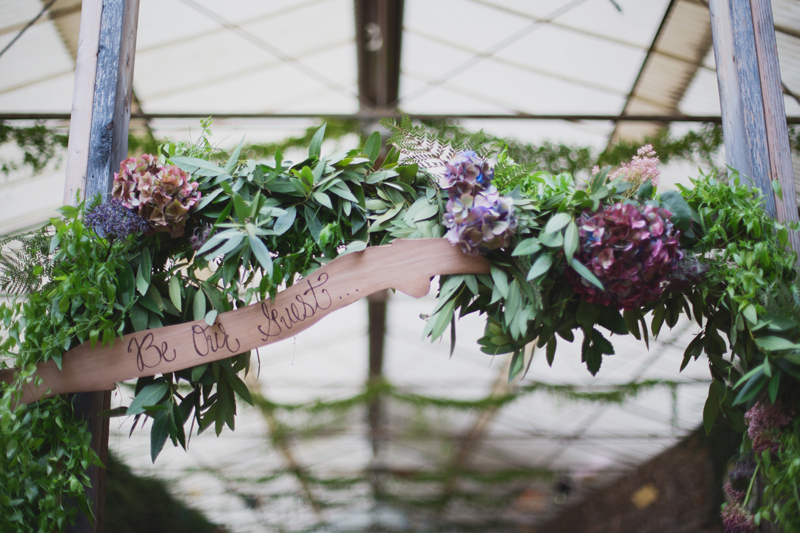 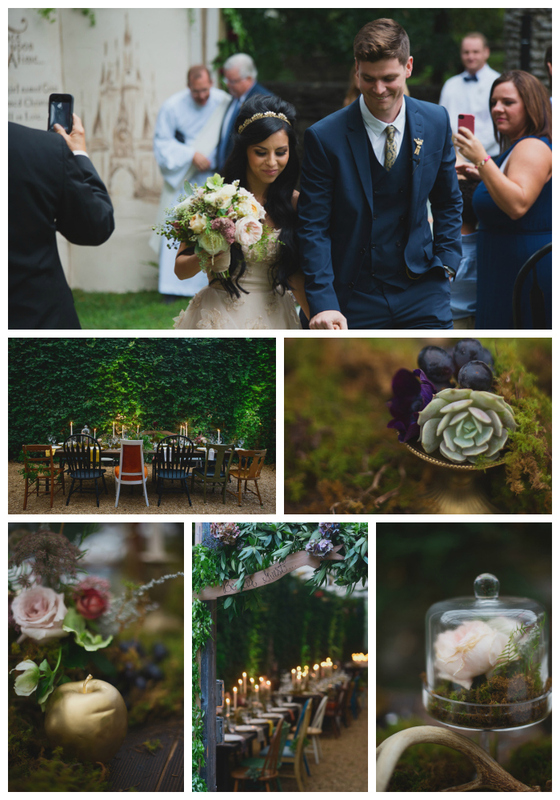 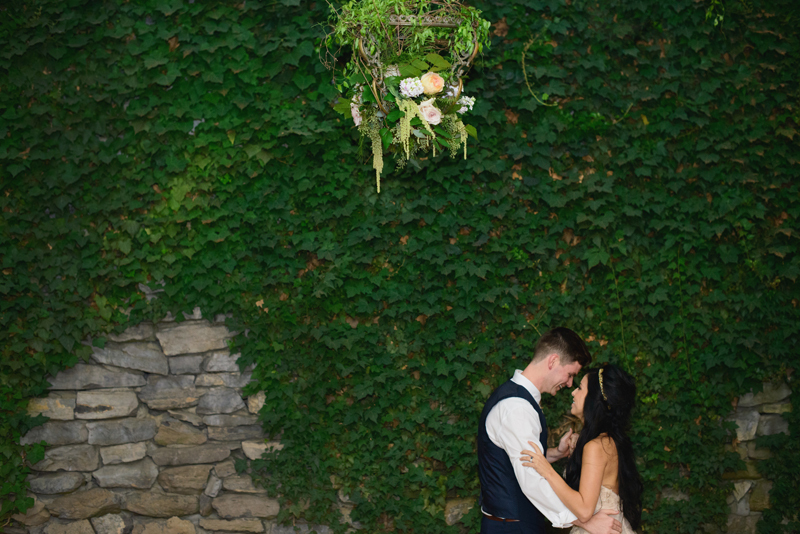 The reception was held in a beautiful greenhouse with an entrance and ceiling that we draped with garlands and blooms to enhance the naturally growing ivy and woodland feel. 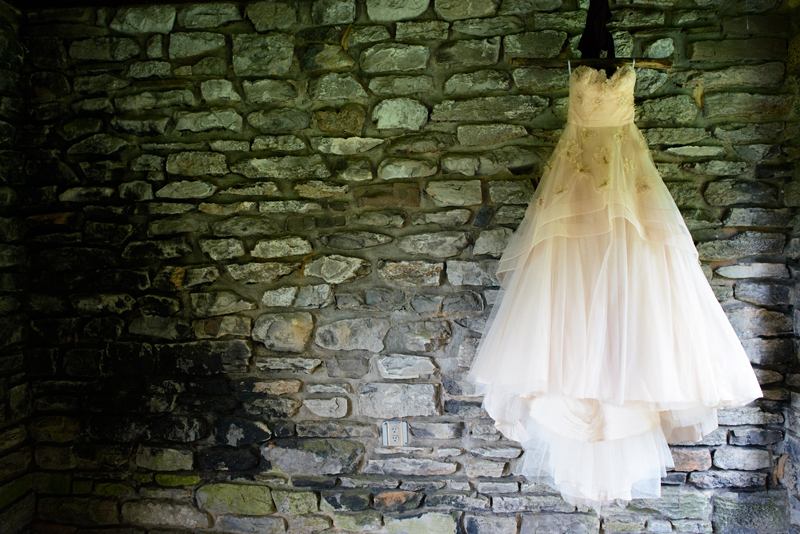 Vintage books and a chandelier that Leah brought home from Europe were hung above the dance floor area. 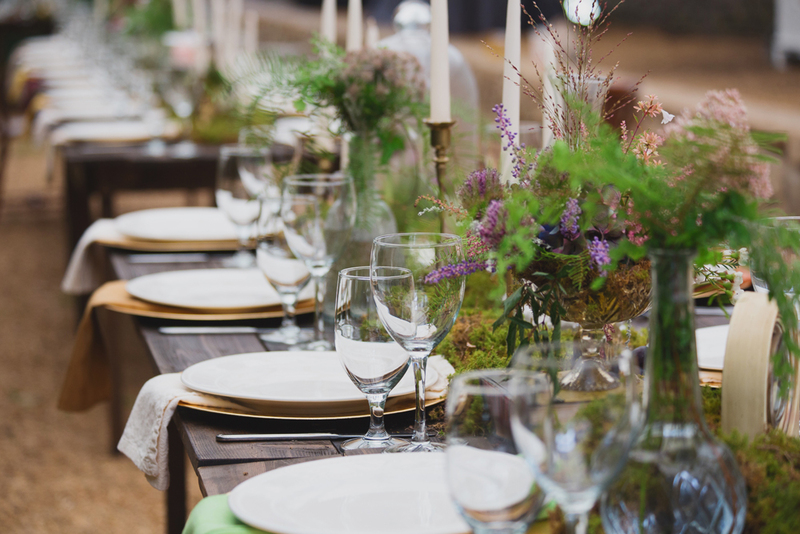 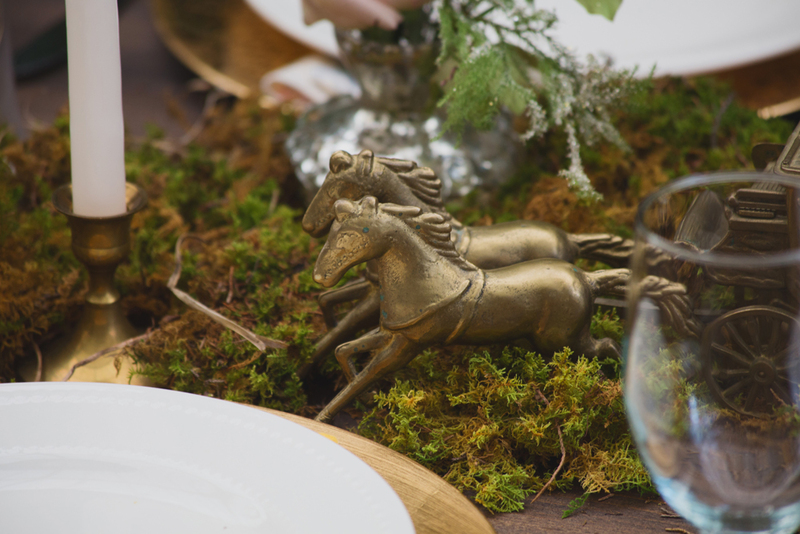 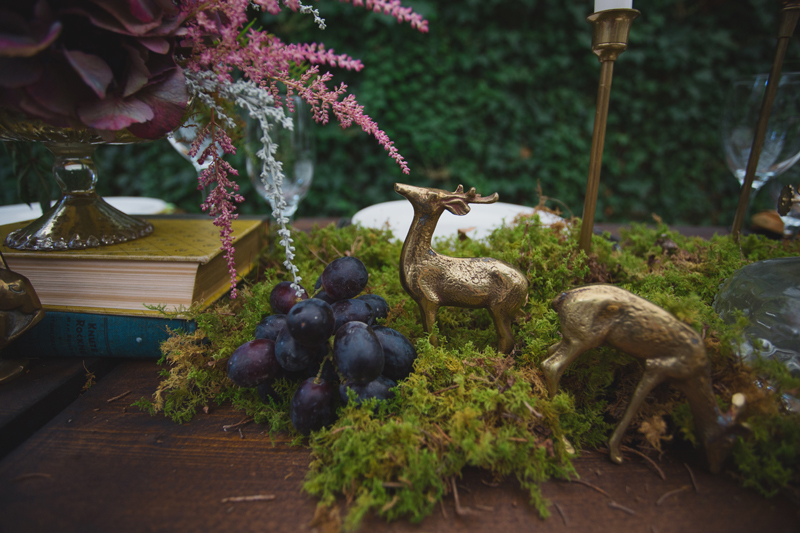 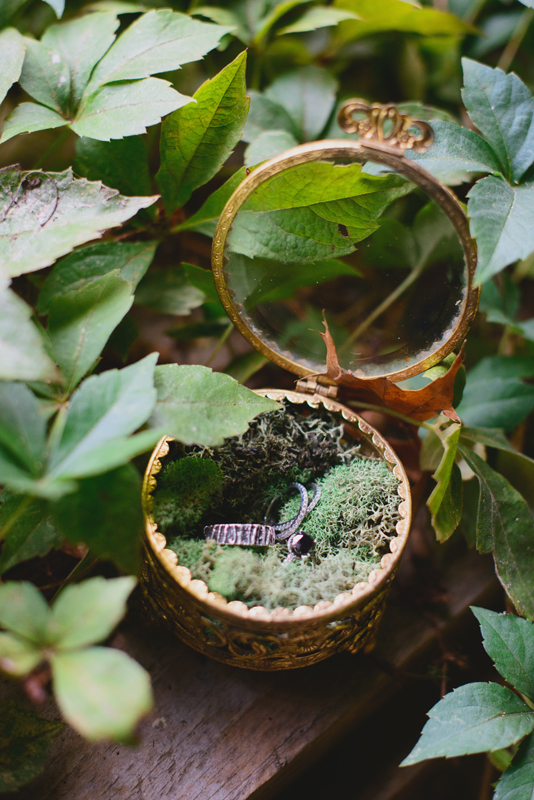 Moss runners lined the wood tables with fairy tale themed props, brass candle sticks, cloche jars, and petite floral arrangements (again combining the efforts and thrift finds of Carrie and Cassi along with items in our prop inventory). 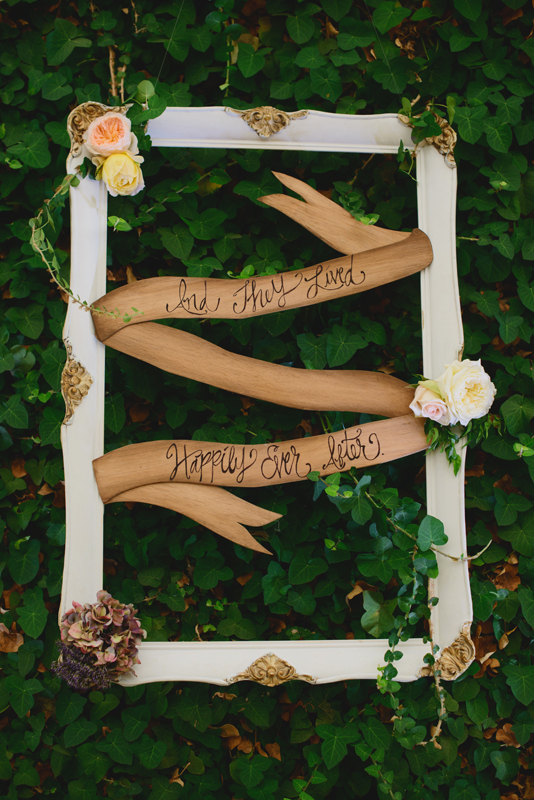 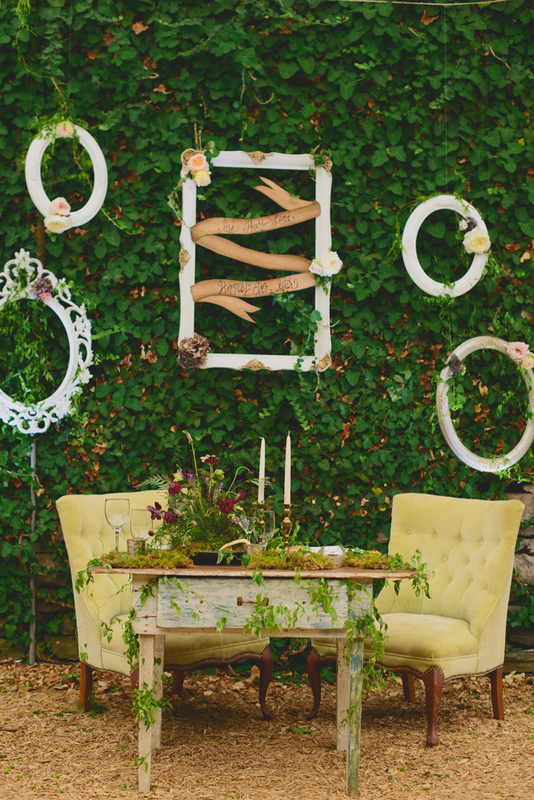 A special table for the bride & groom had an amazing centerpiece created by Colby and frames from our inventory hung along the ivy wall for a romantic backdrop. 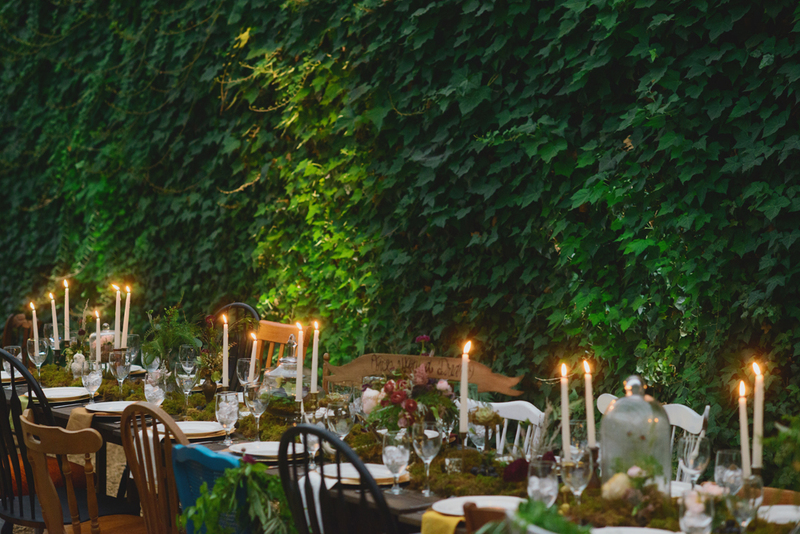 All of this was enhanced by the services of Ogle Entertainment and Light Design and Luxe Catering & Events! 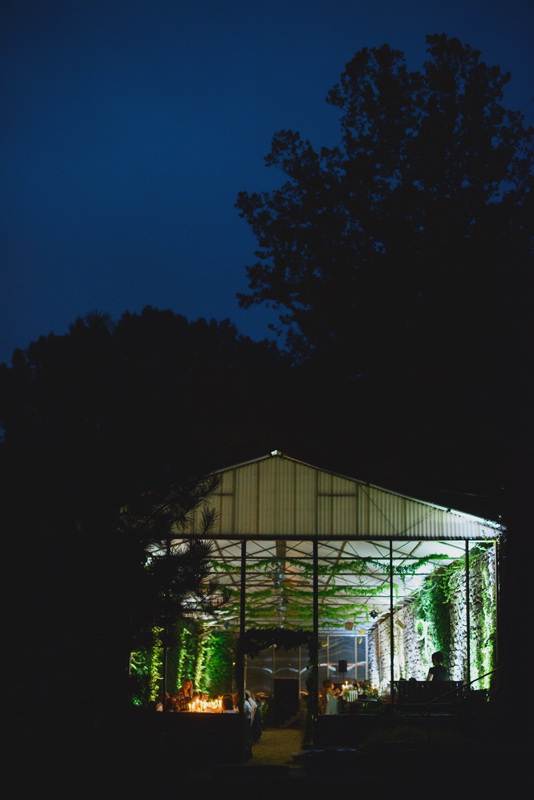 We could go on & on about this one, but we will let the photos from Jessie Holloway take over from here. 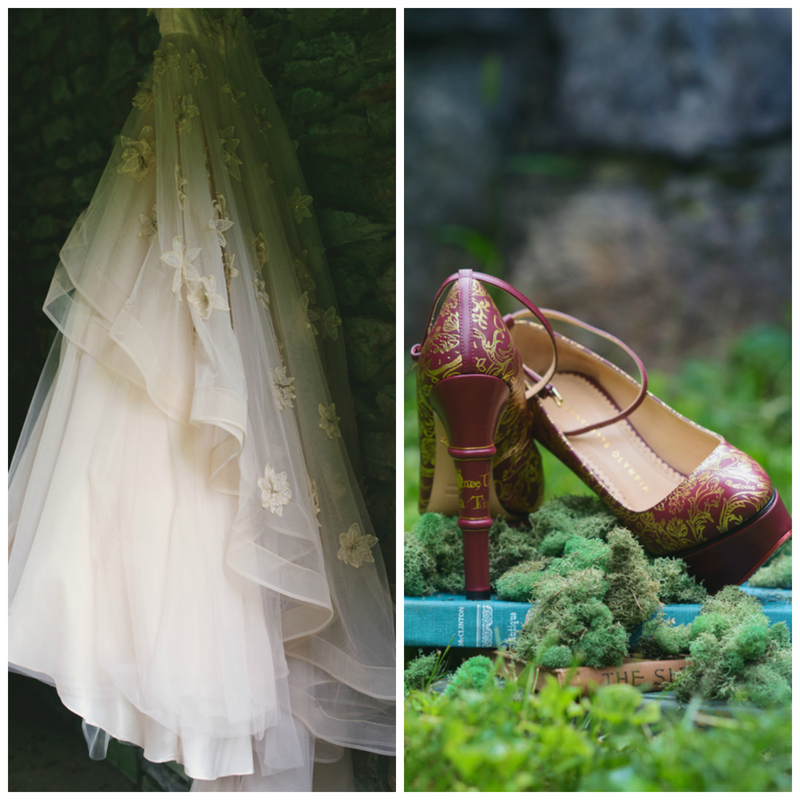 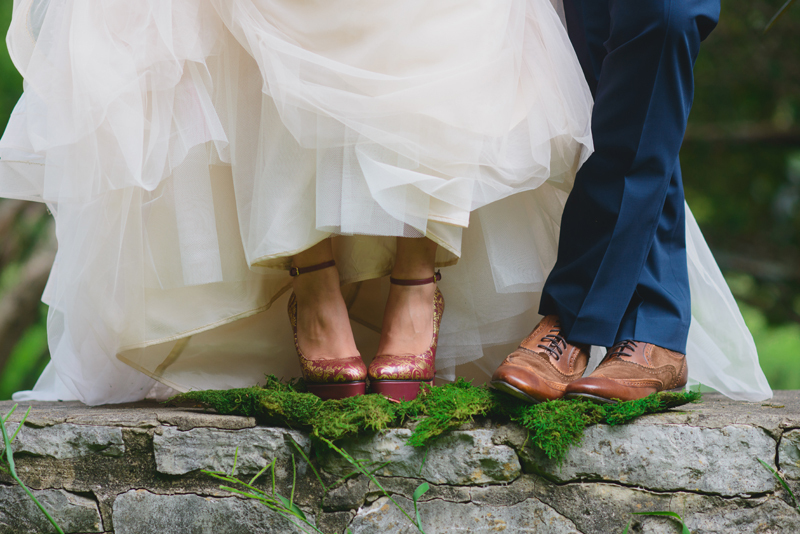 You can also view more from this special day on Green Wedding Shoes and our Facebook page! 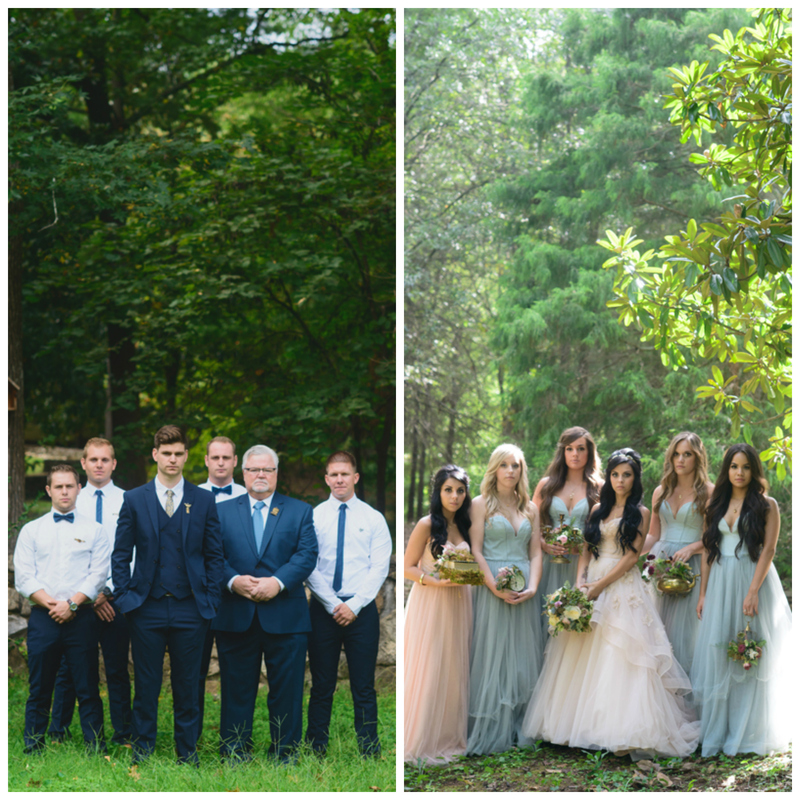 All of the photos above were captured by Jessie Holloway.